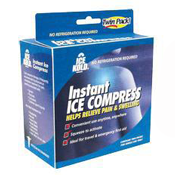 Pain Management products can be used to reduce pain and provide temporary relief. There are Hot & Cold Therapy items such as Cold Packs, Pain Relief Masks, Gel Compression Packs, Paraffin Wax and Heating Pads to alleviate muscle tension and pressure. 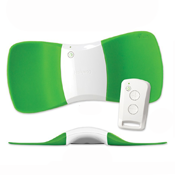 NewLeaf Home Medical also has products for TENS & EMS Electrotherapy. TENS or Transcutaneous Electrical Nerve Stimulation is a type of therapy for people struggling with arthritis, back pain, carpal tunnel syndrome, and sciatica. EMS or Electrical Muscle Stimulation is a therapy used for muscle strengthening, rehabilitation purposes, increasing blood circulation, and preventing disuse muscle atrophy. Customers may choose from our selection of electrodes for EMS and TENS including butterfly electrodes, dot electrodes, uni-patch electrodes, and square pigtail electrodes.